Prompt & Easy Removal of All Your Junk. Call Now for a Free Quote & Service Second to None! With over 25,000 people, the Inner West suburb of Strathfield is quite a busy place! With many schools and multiple universities/colleges, there’s plenty of reasons for people to want to live here. 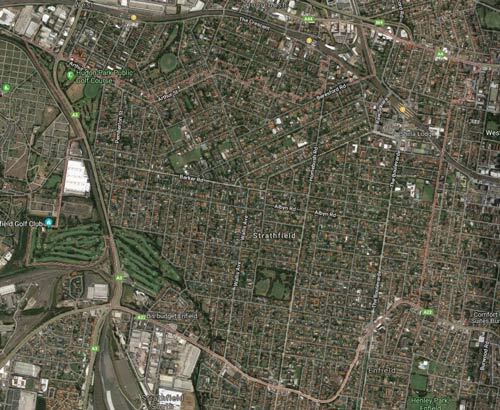 If you look at a map of the Strathfield area, you would see that it is mostly made up of housing, with some golf courses in one corner and some shops in another. 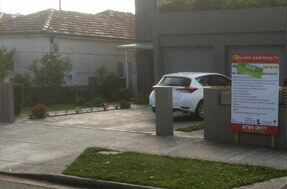 This sort of high density residential area usually means there’s a heap of junk that needs removing. 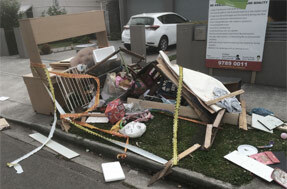 The Same-Day Rubbish Removal team often find themselves being called out to Strathfield and other high-density residential areas in Sydney’s Inner West, because we offer the fastest, cheapest and easiest rubbish removal service available. If you’re looking for this kind of service, don’t hesitate to call us for a free quote, you’ll quickly see why it’s the logical thing to do every time! We can save you money, time and effort, so you can spend those things on what’s more important in your life. There are a number of reasons why our service tops all the others, the main three being that we’re faster, cheaper and easier. We have a fleet of trucks scattered across Sydney, with experienced teams ready to come to you wherever you are (we know all the shortcuts around Sydney), which is what helps us be the fastest service in Sydney. Having a fast and efficient service also means that we can be cheaper – not having to drive as far and working for fewer hours can cut the costs significantly. Our experienced team also know all the things that people like when collecting their junk – we make it so easy for you that you don’t even have to do anything! Just tell us what items need to go and we’ll take them away for you. The main reason we believe we offer the best service is that when our team collects your junk, we’ll sort it straight away into the different types or material for recycling. Sydney has a number of great recycling facilities, but most take different types of items – we know what goes where, so we’ll load it in to our truck for efficient delivery. Everything that possibly can be recycled from your Strathfield junk, we'll have recycled! As noted above, our service covers most of Sydney, not just Strathfield, so you can be confident that even if you’re not in Strathfield or a surrounding area like Burwood or Concord that you can still access great value rubbish removal. 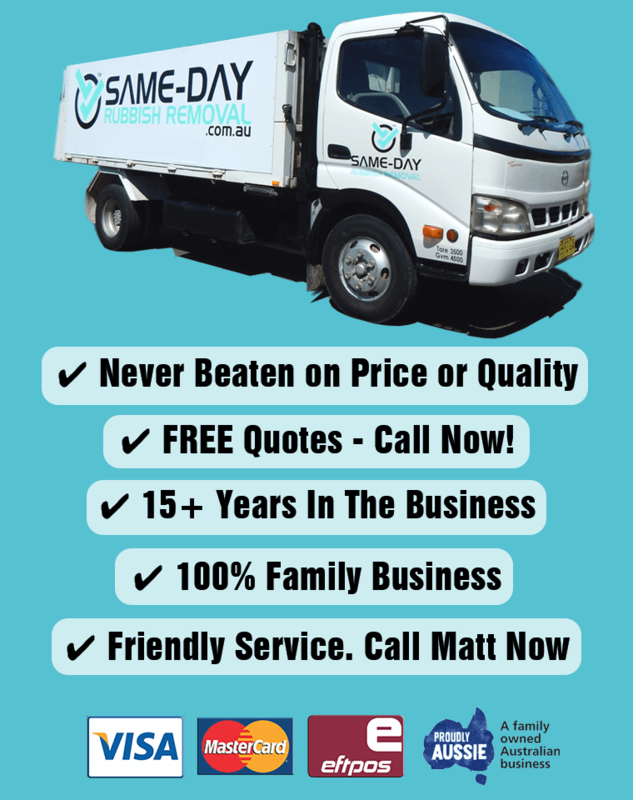 Whether you’re in the Eastern Suburbs around Bondi or Clovelly, or down in the Sutherland Shire around Caringbah or Cronulla, we can come and take away any junk fast – that’s right, we can take almost anything! Large old fridges, freezers, washing machines, broken furniture, beds, mattresses, you name it, if it’s hard for you to dispose of, give our friendly team a call. We know that you’ll love our amazing service, so at least contact us for a free quote and see how cheap we really are. We look forward to hearing from you! Chullora lies just west of Strathfield and is predominantly an industrial area, with a number of warehouses and head offices for a range of large companies. If there’s one thing we know about big businesses like that found in Chullora, it’s that they produce a lot of rubbish! With the largest postal distribution centre in the Southern Hemisphere and many large stores in the Chullora Market Place, we frequently come here to take away excess junk. Most businesses have dumpsters and other ways of disposing of their junk, but from time to time it may not be enough. If this is you, give our experienced team a call now! There’s a lot going on in the suburb of Lidcombe. With a population of around 20,000 people, a major railway junction station, shopping centres, and many historical buildings, there’s a lot of stuff fit into one place! Unfortunately, a side effect of having a lot going on is that there is often a lot of junk produced. The Same-Day Rubbish Removal team find ourselves frequently visiting Lidcombe to pick up large amounts of residential and commercial junk – we’re quite familiar with the area! If you’ve got rubbish of any type that needs disposing, contact our friendly team today. The history of the name ‘Homebush’ likely comes from ‘Home in the Bush’ as the area would have been when first settled. The area is very different today, with over 15,000 people living within Homebush and Homebush West, the name hardly applies! More like ‘Home in the City’ now, this high population produces a significant amount of junk every day, and often times it’s too much for the standard curbside systems. If you’ve got too much rubbish to deal with, you need Same-Day Rubbish Removal – we can help you get your Homebush or Homebush West property back looking like it should!